Instead of dealing with the heat and long lines at an amusement park where the family is off doing different things, why not take a trip to Eureka Springs where the whole Family Vacations Together! Eureka Springs has many Fun and Thrilling Attractions that the Whole Family can do together. 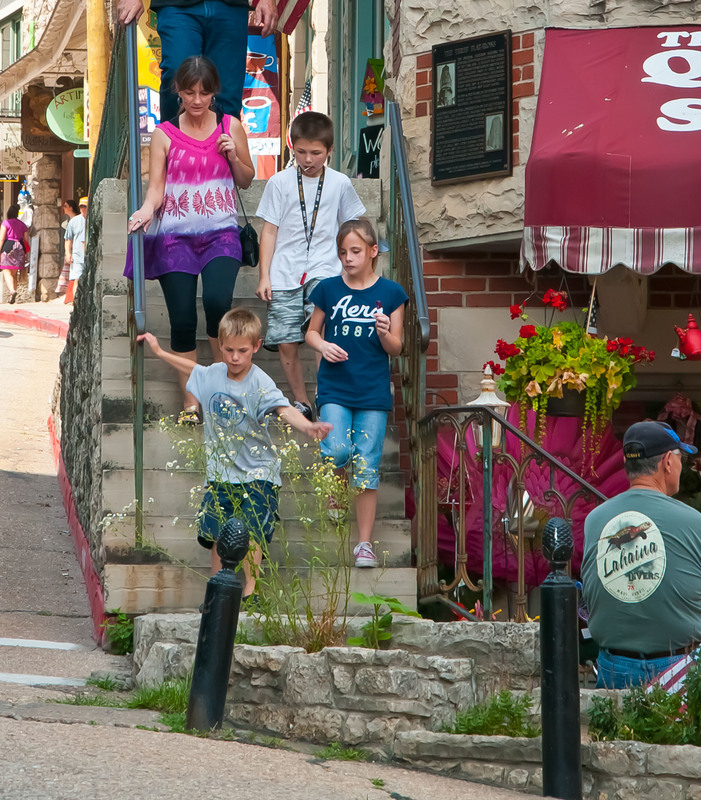 Families love being in downtown where kids can explore the old Civil War Cave, the rock bluff shelter above Basin Spring Park, finding some cool magic tricks at the Magic Shop, or go explore the many staircases that connect Downtown Spring Street and Main Street. For a fun experience of learning Eureka’s past characters or finding the underground, take one of these walking tours: Hellraisers, Hoodlums and Heated History Tour OR the Downtown – N – Underground Tour. Tours are Everyday at 11am & 4pm, Kids under 12 are FREE! Families can take a break and dine downtown together after the parents do some shopping. Great food for all ages and the best view in downtown is at the Balcony Restaurant, located on the 2nd floor of the Basin Park Hotel. Stay downtown where the most FUN Happens! Intrigue Theater is great for parents and kids of all ages. Be amazed at some of the outstanding illusion and magic put on by illusionist, Sean Paul and medium, Juliane Fey. Set in a century year old building with theater style seating you will go back in time as they keep you guessing and entertain you with their close up magic and mystery. An intriguing experience you don’t want to miss! Bring the whole family and stay over at a haunted hotel. 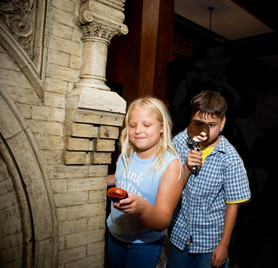 Kids will love exploring the hallways with their cameras to see if they can catch orbs and they will sure to be thrilled on the nightly ghost tour that gives you a glimpse into the haunted past of the historic hotel while ending up in the morgue! The 1886 Crescent Hotel & Spa sits atop the hillside of Eureka Springs, with beautiful views on the 4th floor of the Ozarks, surrounding gardens, verandas, trails, and a swimming pool. A great vacation spot to scare up some lifetime memories! Experience the exhilarating thrill of the Eureka Springs Ziplines Canopy Tour. This is a must for the whole family! 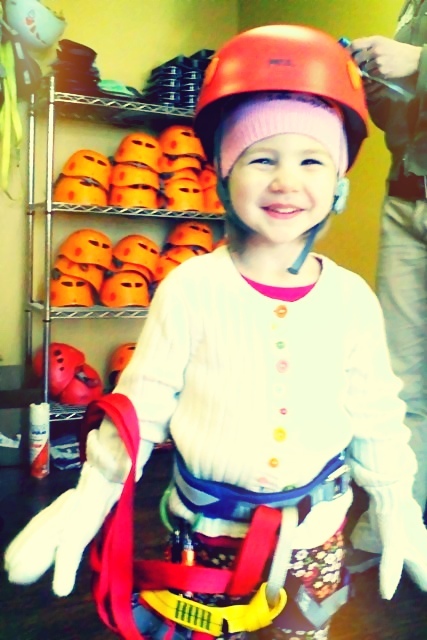 Families can have outdoor fun and a safe adventure tour together through the Ozark treetops. Enjoy 2 hours of fun as you start gradually through the trees and make your way up to the ultimate zipline, soaring 200 + feet high and about 1800 feet long! A perfect family adventure. Take the whole family and relive The Greatest Story Ever Told! Staged in an outdoor amphitheater, the multi-level set, special lighting and sound effects, live animals, and a cast of 170 Biblically costumed actors come together to create the thrilling epic drama of Jesus Christ’s last days on earth. The play is not the only thing to see and do thought. 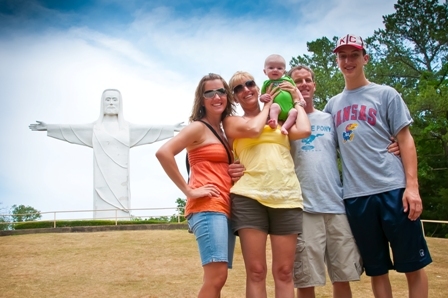 The Christ of the Ozarks, the Holy Land Tour, Moses Tabernacle in the Wilderness, a section of the Berlin Wall, the Church in the Grove, the Bible Museum, and the Sacred Arts Museum are also on the grounds! For great summer fun with the family explore any of the 3 rivers and 3 lakes that surround Eureka Springs. For nearby swimming visit Beaver Dam, rent ski boats or pontoons on Beaver Lake, Table Rock Lake or go paddle boating on Lake Leatherwood. For fishing, kayak or canoe rentals visit the White River, Kings River or Buffalo River. Break off from the heat and have fun in the water on your summer vacation. A visit to Turpentine Creek Wildlife Refuge brings kids and families face to face with over 150 exotic big cats. Open everyday, the 459 acre refuge offers visitors an education station, keeper talks, self guided tours, habitat tours, and feeding time for visitors to witness. Only a short 7 mile drive from downtown Eureka Springs, take your kids to see the wild! 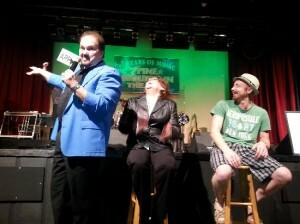 Everybody loves a laugh and live music so why not take the family to two of Eureka Springs Fun, Family Shows. The Pine Mountain Theater offers families country, gospel, comedy, bluegrass, blues and rock n roll every evening, except for Sunday, unique souvenir items, and free all you can eat popcorn. Ozark Mountain HoeDown offers shows everynight of new and old country, gospel, comedy, nostalgic rock n roll, motown, do wap, disco, audience participation and impersonations. Great fun for the whole family. In July, bring the family to Eureka Springs for a Thrilling time! Crescent Hotel Ghost Tour-Visit America’s Most Haunted Hotel. Everyday starting at 8pm. Eureka Ghost Tours-Tales and legends of downtown Eureka Springs. Everyday starting at 8pm. 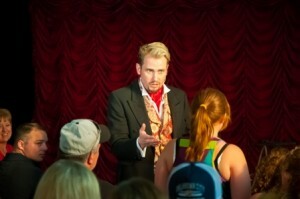 Intrigue Theater-Travel back to an age of Intrigue with the Illusionist and the Medium. OPEN Wednesday-Sunday. Hellraisers, Hoodlums and Heated History Tour-Explore downtown with the legendary “stars” of Eureka Springs Wild West. Everyday at 11am. Downtown -N- Underground Tour-Behind the Scenes walking adventure tour of Eureka Springs. Everyday at 4pm. Flickering Tales-Huddle around the campfire to hear ghost stories of the Ozarks among the grounds of America’s Most Haunted Hotel. Everyday at 10pm. BUY Tickets Online, Click Here.